As 2018 begins with a bang, we are extremely excited for what’s to come, especially in our own backyard. Earlier this month, the Golden State Warriors, including head coach Steve Kerr and All-Star forward Kevin Durant, welcomed their closest friends to the site of their highly-anticipated 18,000-seat Chase Center arena in Mission Bay for their groundbreaking ceremony. 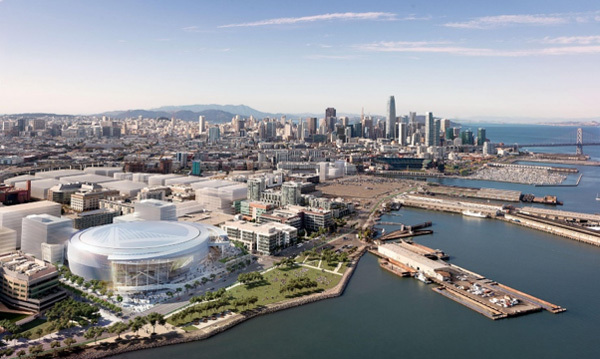 After more than five years of planning, construction has finally begun for the Warriors’ new home and we cannot be more excited for the neighborhood. With the Giant’s AT&T Park just a stone’s throw away from OMB, in addition to numerous dining and other entertainment destinations, residents can look forward to living in a constantly evolving neighborhood, enjoying the amenity and ease of access to some of the city’s most popular recreational activities. One thing is for sure – we’ll be keeping an eye out on all the exciting movement here in Mission Bay.